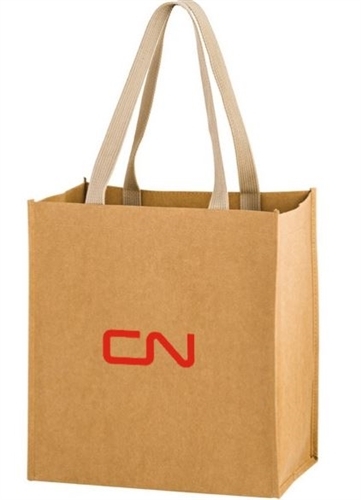 This earth-friendly, beautifully crafted heavy-weight Natural Kraft Paper Tote Bag has crisp fold lines, elegant kraft colored stitching and Natural color Web Carrying Handles | 350 GSM Natural Brown Kraft Paper | 18" Web Handles. Get the look and feel of leather with paper. 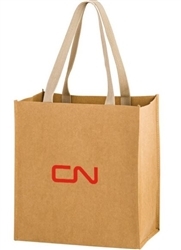 Product size: 12" W x 8" Gussets x 13" H. Printed with the CN logo.